In the immediate aftermath of his victory over Saul ‘Canelo’ Alvarez, Floyd Mayweather Jr. didn’t want to talk about what the future held. He brushed off an inquiry about Manny Pacquiao. He spent the majority of his post-fight press conference heaping praise on Alvarez and the other fighters he shared Saturday night’s card with. And aside from one reference to planning schedule his next match for Cinco de Mayweather, the undefeated champ didn’t really offer too much insight on his plans for 2014. Make no mistake about it, though, it’s not because he isn’t thinking about them. Lost in all the talk about what a successful PPV event Mayweather-Alvarez ultimately turned into is why it came to be. Originally, this pair couldn’t come to terms. Weight was the main sticking point, but there were other issues as well. Much in the way Mayweather previously used Alvarez as a way of leveraging a fight against Robert Guerrero, he was already lining up potential challengers as a means of showing Alvarez that he wasn’t as necessary as he seemed to think he was. And then the Mayweather-Guerrero numbers came in. After all the Showtime hype, and on the heels of the most lucrative boxing deal any fighter has ever received, Mayweather’s last production proved to be a stinker by his lofty standards. Folks were no longer willing to part with $65 to watch him elude a guy everyone knew he was better than for 12 rounds. That’s why he and Alvarez ultimately agreed to a deal – because Mayweather needed a marketable fight again. Surely enough, Mayweather-Alvarez proved to be a huge success. The final numbers aren’t in, but they’ll be monstrous. Maybe not PPV record-breaking, but still extremely impressive. What’s the lesson from Mayweather-Alvarez? Well, it’s quite simple: People will shell out $75 for a PPV fight if you give them a reason to. After Mayweather’s big win this weekend, some suggested that his next bout may come against Danny Garcia. It won’t. Or at least it won’t if Mayweather can arrange anything better. A bout between Mayweather and Garcia would do worse numbers than Mayweather-Guerrero did, without question. No, what Mayweather wants is a big, marketable name. 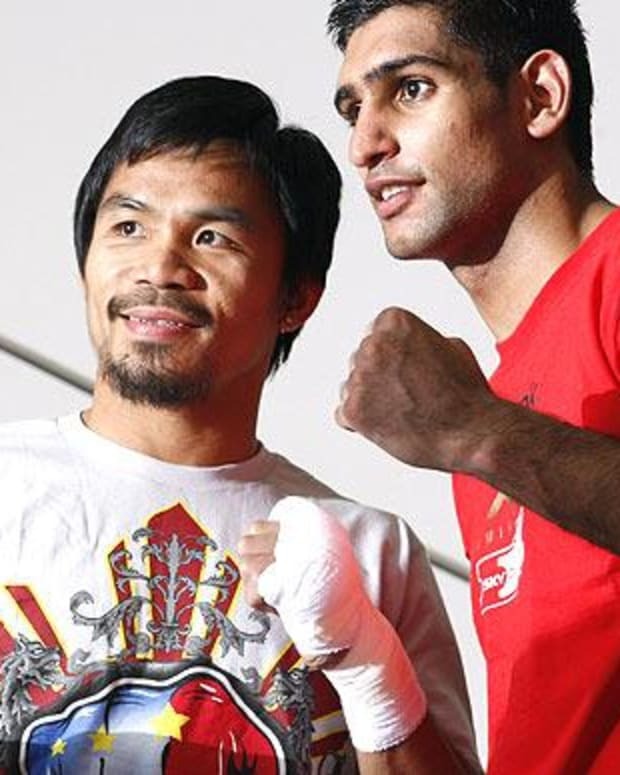 Manny Pacquiao and Amir Khan are the two that instantly spring to mind. Pacquiao has a bout against Brandon Rios this November. He is currently the favorite. If he is ultimately able to persevere and emerge victorious, he will absolutely get a look from Mayweather. Along the same lines: Khan is taking on Devon Alexander this December. If he wins that, a showdown that’s been years in the making may finally become a reality. 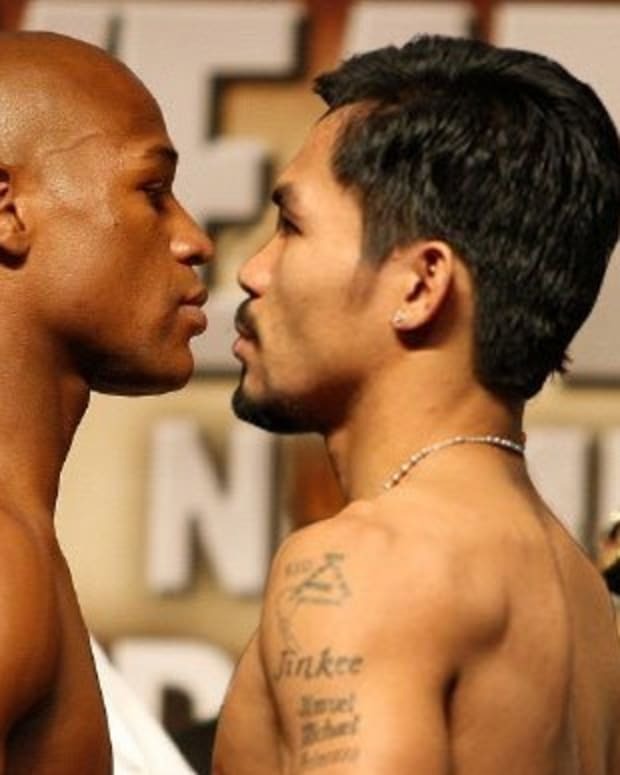 At this stage in the game, for both Mayweather and Showtime, it’s all about selling fights. Pacquiao and Khan have enough name value to do that. Garcia doesn’t. 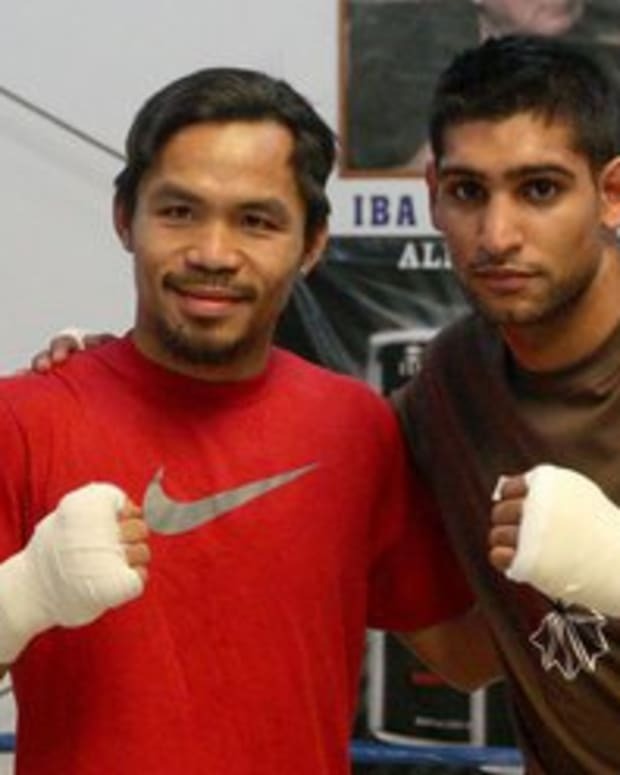 Manny Pacquiao Can’t Fight Floyd Mayweather, But Amir Khan Can?